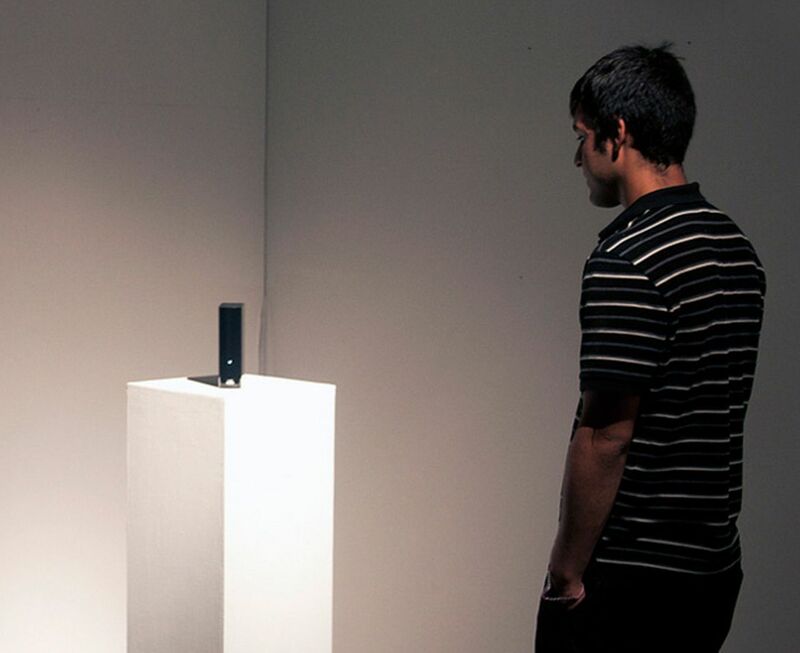 Displaying the evidence of a crime is all it takes to get into an art gallery these days. The debate about what can be considered art and what cannot gets reinvigorated every few years. Jackson Pollack's famous paint splotches are perhaps the best known example of a polarizing piece of art with moderns on one side and traditionalists on the other. 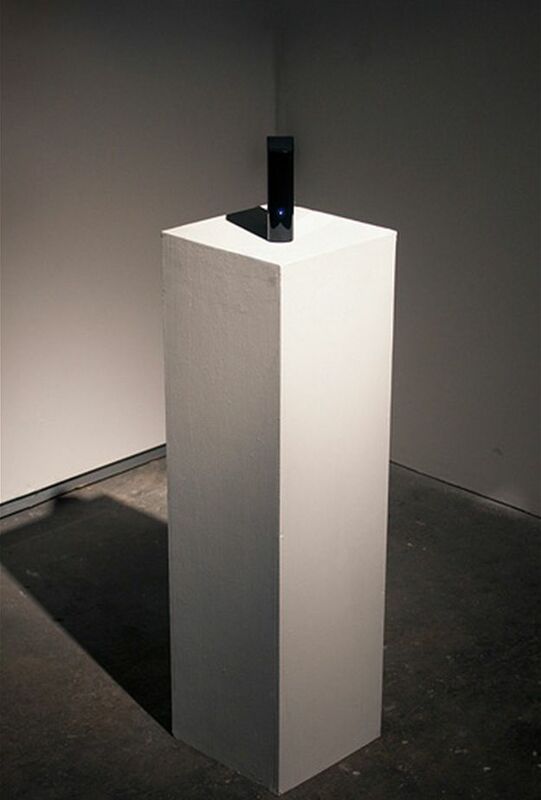 I usually fall back to saying, "If it's art to someone, then it's art to me," but this latest piece displayed at the Art 404 gallery in Miami stretches credibility to the breaking point. Manuel Palou is a twenty year old artist who illegally downloaded what he calculated to be $5 million worth of media and loaded it all onto a terabyte hard drive. 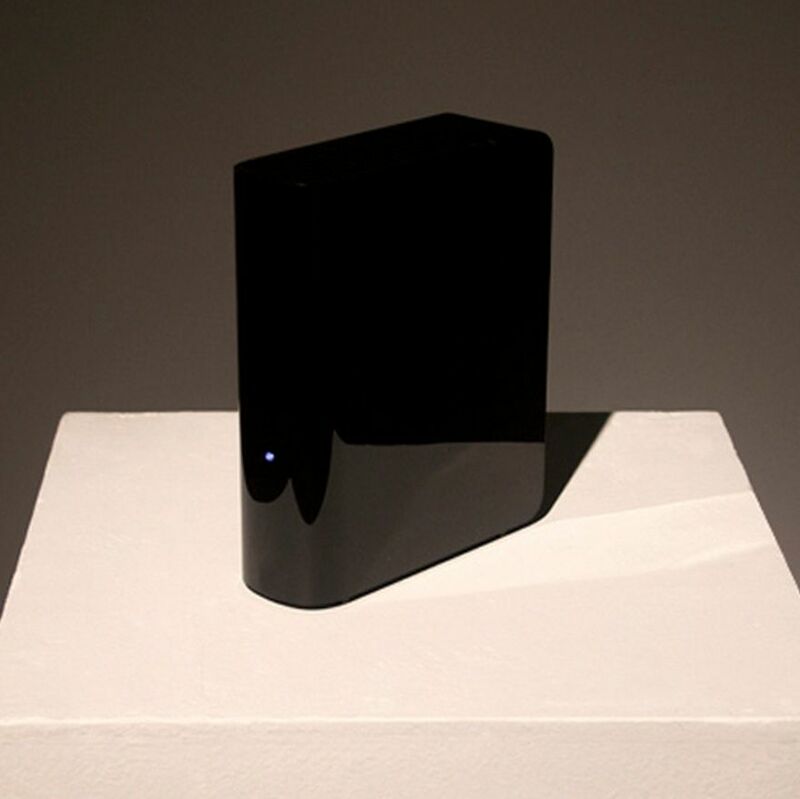 According to Palou and the Art 404 Gallery, putting the shiny black drive on a pedestal and calling it "5 million dollars, 1 Terabyte" is enough to make it art. Palou included a list of all of the files the drive contains and - not surprisingly - there are a lot of games on there like the entire Nintendo 64 library and other ROMs in addition to font packages and expensive software like AutoCAD. For the most part, Palou included only large packages and bundles to fill up the 1,000 gigs of space, but he was nice enough to include the URL where these files could be illegally downloaded. Want to steal a collection of PC games released from 1979-2001 taking up 130GB and valued at $150,000? Well, you can go to the URL provided, you know if you were a jerk. Like I said, I usually don't have a strong opinion on what is art and what is not, but spending time stealing content - even if many of the games and other content might be out of print - and putting it on display just doesn't impress me. To say nothing of literally putting piracy on a pedestal, Palou was just lazy and went for the big catch-all collections instead of curating what ended up on the drive. I mean, if he had hand-picked each piece of content to be meaningful or culturally important, at least that would have been something. But with a high speed internet connection, this "5 million dollars, 1 Terabyte" might have taken Palou an afternoon to download. And that's just not art at all.